For the last couple of weeks or so, I’ve been working really hard to get ready for something very exciting, and last night, this exciting thing finally happened! 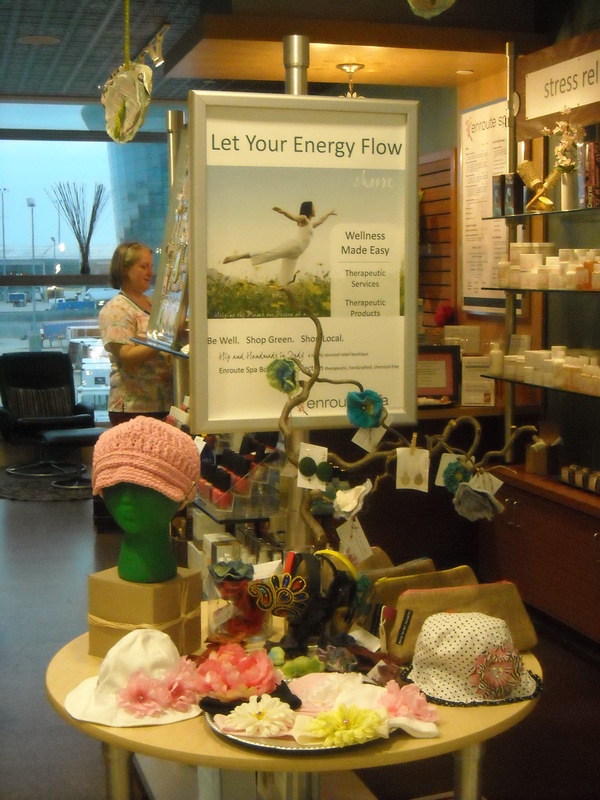 Last night I went out to the Indianapolis International Airport and set up my display at Hip and Handmade in Indy at the Enroute Spa! 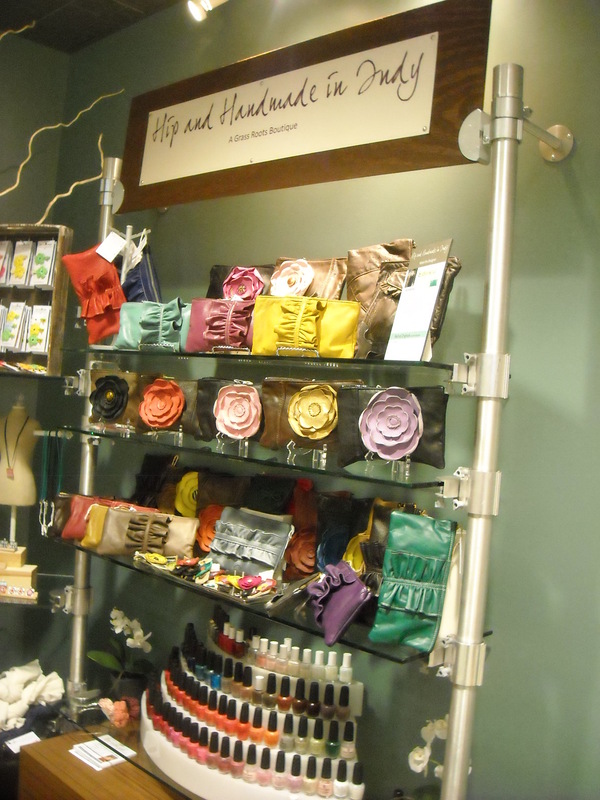 Hip and Handmade in Indy is located inside Enroute Spa on both concourses A and B of the Indianapolis International Airport. 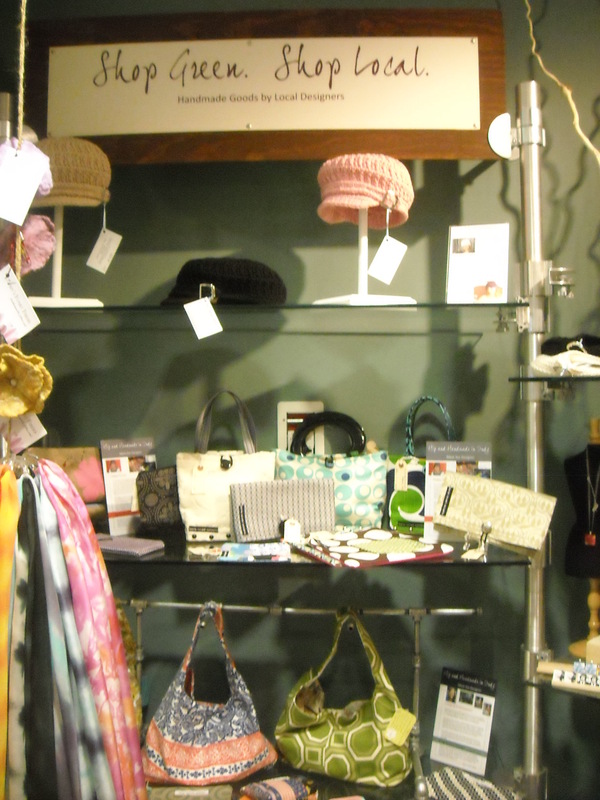 Erin Humphreys is the owner of Enroute Spa, and she is a huge supporter of artists and crafters who make handmade goods. Last December, I participated in the Hip and Handmade Holiday Craft Fair, which was held in Civic Plaza, and I met Erin. Ever since then, I think I can say we have been on each other’s minds! I’m so happy now to be working with Erin again. She’s such a positive person, and she’s been very encouraging to me over the past few months, and now I’m so happy to say we are working together. 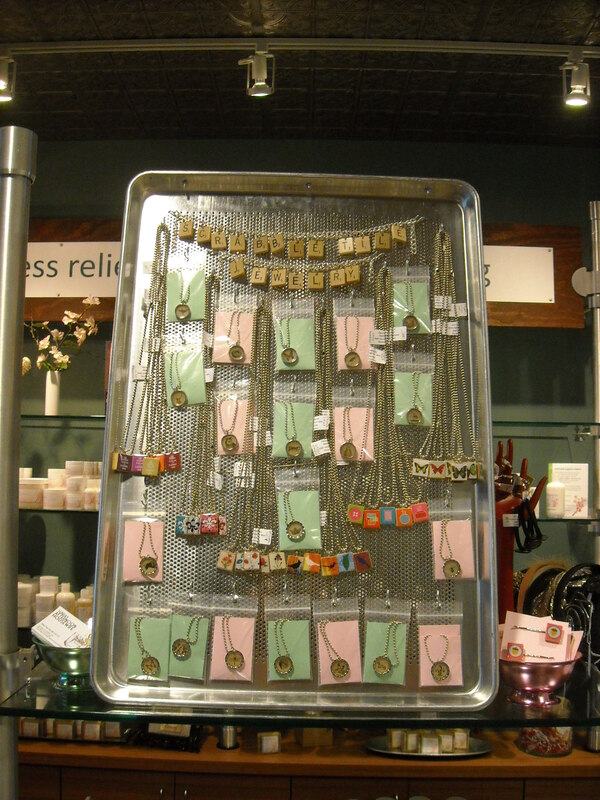 Erin’s spa is a beautiful store that offers full range of services from manicures and pedicures to massages. They also sell their own line of handmade, natural soaps and lotions. 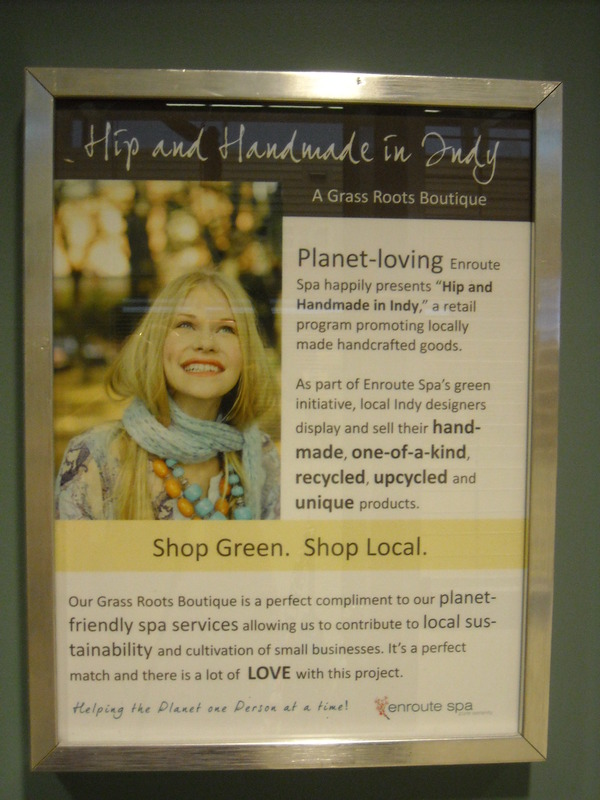 Next time you are flying in or out of the Indianapolis International Airport, you should stop by Enroute Spa and take a look around, get a massage, and possibly even pick up some handmade jewelry from me or pick up great scarves, headbands, crochet hats, purses, bags, and soaps all made by Indianapolis crafters, sold locally by a great local business!